We are leading Manufacturer Exporter for Brass CNG Ferrule Nut as per IS Custom design. 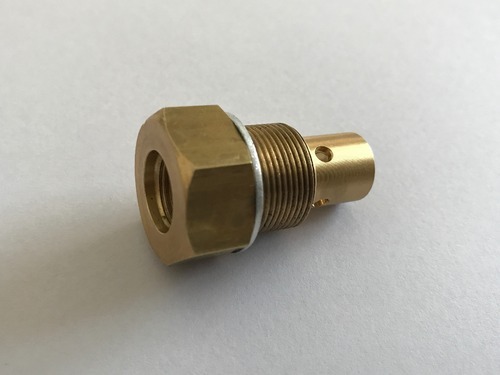 Incepted in 1999 with the aim to meet the diverse quality needs of our customers we are Manufacturing and Exporting a wide range of Brass Components and Fasteners that are enriched with features like high precision, durability and anti-resistant to chemicals. We ensure that every components and fasteners that are fabricated at our plant are equally good compared to the ones made by technologies anywhere in the world. We are offering a wide range of brass products like Brass Screws, Brass Inserts and much more to meet varied requirements of our customers. Manufactured with immense precision and precaution we aim to deliver products with Zero defects. Unparalleled quality at most feasible price to render maximum customer satisfaction is the guideline on which our work strategy is based.